Unfortunately, Europa’s surface is constantly bombarded by radiation, which could alter or destroy material transported to the surface. Using data from the Galileo and Voyager 1spacecraft, a team of scientists recently produced a map that shows how radiation varies across Europa’s surface. 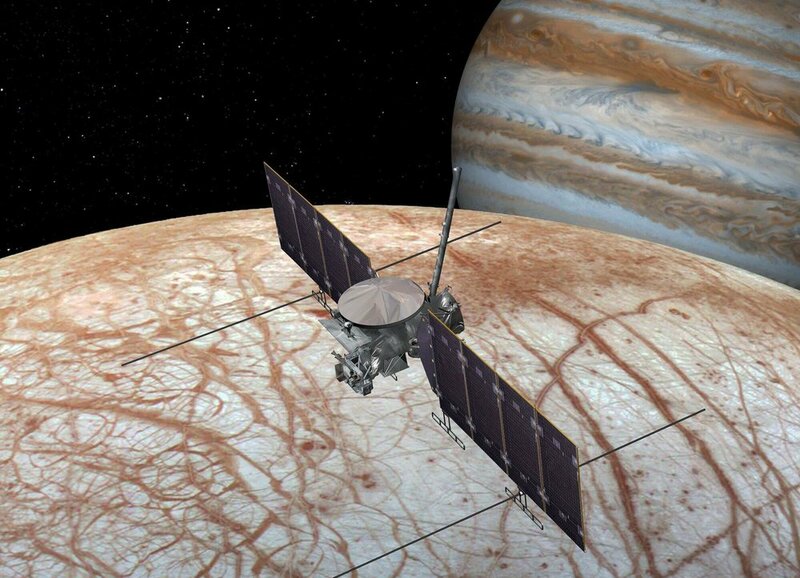 By following this map, future missions like NASA’s Europa Clipperwill be able to find the spots where biosignatures are most likely to still exist. As many missions have revealed by studying Europa’s surface, the moon experiences periodic exchanges between the interior and the surface. If there is life in its interior ocean, then biological material could theoretically be brought to the surface where it could be studied. Since solar radiation would destroy this material, knowing where it is most intense, how deep the energetic particles go, and how it could affect the interior are all important questions. For the sake of their study, Nordheim and his team went beyond a conventional two-dimensional map to build 3D models that examined how far below the surface the radiation penetrates. To test how deep organic material would have to be buried in order to survive, Nordheim and his team tested the effect of radiation on amino acids (the basic building blocks for proteins) to figure out how Europa’s radiation would affect potential biosignatures. Newer Post Discovered: a huge liquid water lake beneath the southern pole of Mars! Older PostWhy does my phone battery die so fast?